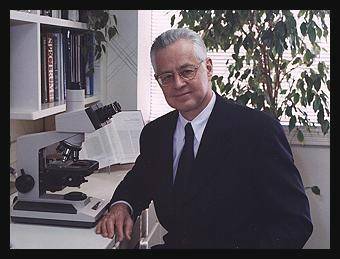 Norman A. Brooks, M.D. is an Encino dermatologist, chemosurgeon, and internationally recognized authority on skin cancer. Dr. Brooks received his doctorate from the University of Colorado Medical Center, and continued his post­graduate training at the University of Wisconsin and at UCLA, where he served as an assistant clinical professor and received the Outstanding Teaching Award. He is Board Certified by the American Board of Dermatology and the American Board of Pathology. Dr. Brooks specializes in Mohs micrographic surgery, a form of skin cancer surgery with significant advantages over conventional surgery. Mohs surgeons are extensively trained in this surgical technique by the American College of Mohs Micrographic Surgery and Cutaneous Oncology, of which Dr. Brooks is a board-certified graduate. His work in the fields of medicine, chemosurgery, and micrographic surgery has been published in medical journals and textbooks around the globe, including Journal of the American Academy of Dermatology, Journal of Dermatologic Surgery and Oncology, and The New England Journal of Medicine. Dr. Brooks specializes in skin cancer surgery, and the cosmetic removal of moles and other skin growths. The Skin Cancer Medical Center is designed for patients who have sun damage, skin cancer, and melanoma. In addition to the treatment of common skin cancer, the Center also provides comprehensive screening, risk assessment, and follow-up services to individuals who are at high risk for melanoma because they have unusually large, new or changing, or increased number of moles.